Taking the cool, mellow flavor of the E.P. 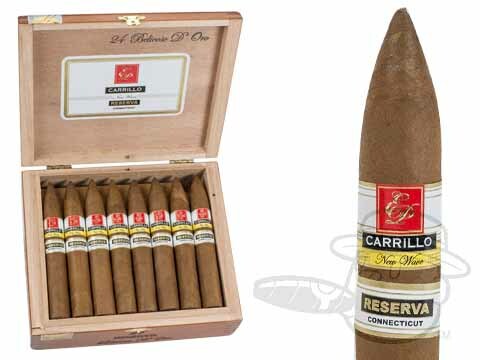 Carrillo New Wave Connecticut up a notch, the E.P. 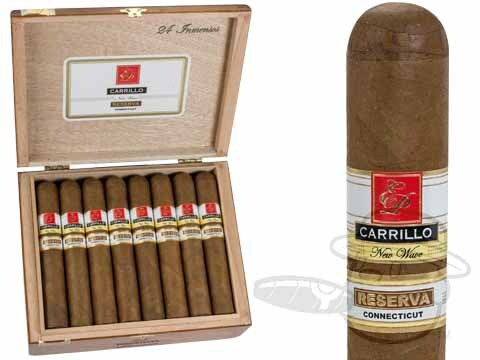 Carrillo New Wave Reserva features an Ecuadorian Connecticut wrapper leaf over Connecticut Broadleaf binder and filler tobaccos from Nicaragua and the Dominican Republic, resulting in a smooth yet hearty, medium-bodied profile. These silky smokes are loaded with flavor, boasting balanced notes of cedar, coffee, sweet tobacco, cream, caramel, and more.